First off, a huge congratulations to the Bower Family! They are now a family of 4 after welcoming Weston to the world. We’re not quite sure why people joined the pool, but didn’t submit a guess. If you were one of those people, leave a comment here and let us know. We already have some changes in the works for the game, and any comments we get help us fine tune it, so please share your opinions – good or bad! So, Katie’s due date was originally November 5. As with many pregnancies, that day came and went and as she closed in on 2 weeks late, they went ahead and called in some magic to move things along. Weston Bower was born on November 18, showing all 763 of us that we are not very good at predicting the future. Maybe the 144 people who joined the pool, but didn’t submit their guess had it right? But, no one guessed the right day this time around (the last guess was November 15), but as always, there is still a winner due to our point system. I also have to make a comment on the baby weight. Since Weston was brewing so long he arrived at a grand total of 10 pounds and 3 ounces! Most people did not guess that high, but there were a few who got it right: Karen Brown (11th) and Nicole Ruehlow (322nd). To see the full list of guesses and see how everyone did, click here (you’ll need to log in to see the full scoreboard). Laura, if you’re reading this, email me! We need your mailing address to get your prize out! 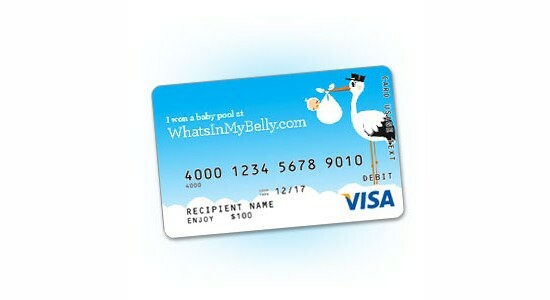 morgan@whatsinmybelly.com. I should probably add in a disclaimer here – I’m good friends with Massie. I have to call her out for not doing her research because she guessed it was a girl, when we already knew it was a boy! Good work, Massie! You will get a surprise in your mailbox soon!